Raconteur extraordinaire Paul Hunter will read from his prose-poetry memoir, Clownery: In Lieu of a Life Spent in Harness on Sunday, April 14, 2019, 4:00pm, at Village Books in Bellingham. His stories are captivating, his words compelling, and his voice dynamic. Come hear Paul. Join Betty Scott, J.P. Falcon Grady, and Rev. Tessie Mandeville for poetry and song in celebration of Betty Scott’s collection, Central Heating: Poems that Celebrate Love, Loss and Planet Earth (Cave Moon Press). 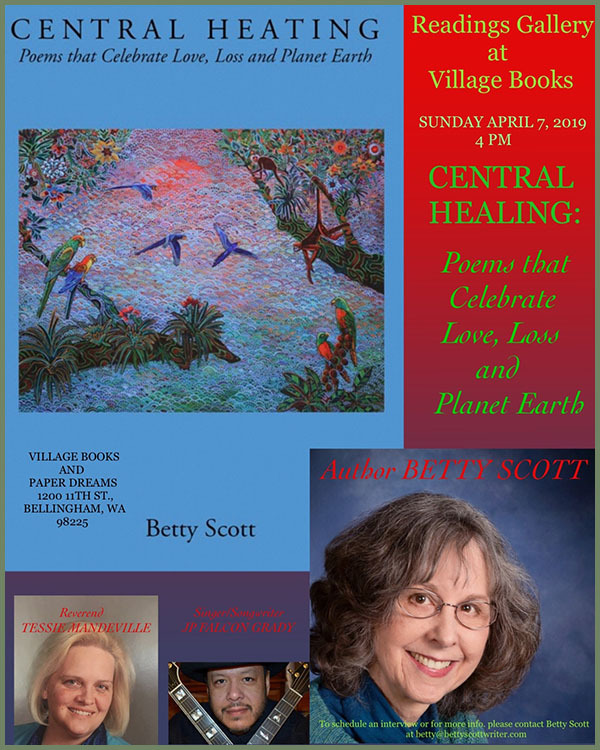 Festivities begin at 4:00pm on Sunday, April 7, 2019, in the Readings Gallery at Village Books, Bellingham. The previous day, Saturday, April 6, Betty Scott and J.P. Falcon Grady will teach an all-day workshop at Whatcom Community College to explore how words and music deepen the themes and emotions of creative expressions. Further information: Amplify Your Writing with a Song. As if you didn’t have enough to choose from, Mountain Writers Series will host an off-site event, free and open to the public, during the AWP Conference in Portland. This event will celebrate 45 years of programming and serving the literary community in the Pacific Northwest and beyond. Tomorrow, Thursday, March 28, 2019, from 11:00am until 10:00pm at the Hotel Rose in downtown Portland, dozens of Mountain Writers Series alumni poets and writers will pay tribute to poets past and share some of their own work. You’re also invited to join Mountain Writers Series poets and writers during a wine-and-appetizers reception, 5:00-7:00pm at Hotel Rose. Many of the authors will have their books for sale and will sign copies for guests. Mountain Writers Series will also be giving away dozens of books, broadsides and flyers from the archives of its 45-year history. 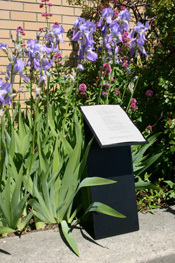 Registration is now open for Cascadia Poetry Festival – Anacortes 2019: A Tribute to Sam Hamill. Held May 9-12, the Festival will include readings, music, book launches, panel discussions, and workshops. The event celebrates poet/editor/translator and founder of Copper Canyon Press, Sam Hamill, who lived in Anacortes the last eight years of his life. Gold Passes ($25) are on sale now at Brown Paper Tickets and admit the holder to all events except Steve Kuusisto’s master workshop. 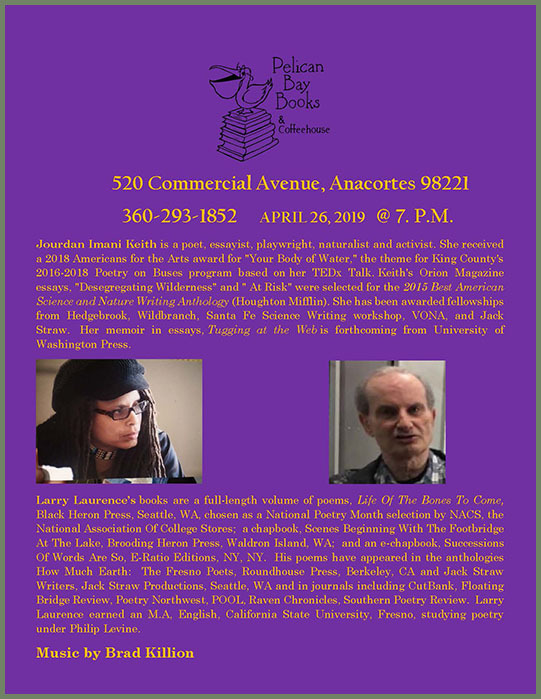 On Thursday, March 27, 2019, the Vashon Bookshop will host an evening of poetry on the subject of Poetry and Democracy, in keeping with national programming presented by the Poetry Coalition. The reading begins at 6:00pm with a number of featured poets, followed by an open mic.